Fit within the wall cavity and normally span between floor structures. They serve the same purpose as the U section windposts whilst allowing for heavy duty applications. H windposts leave the inner leaf of the cavity wall undisturbed. Generally used for internal fair-faced walls. The post is a flat plate that can be built between blockwork panels and does not protrude beyond either finished face. Posts are usually 20mm narrower than the wall width with any additional load requirements provided for by an increase in the thickness of the post. 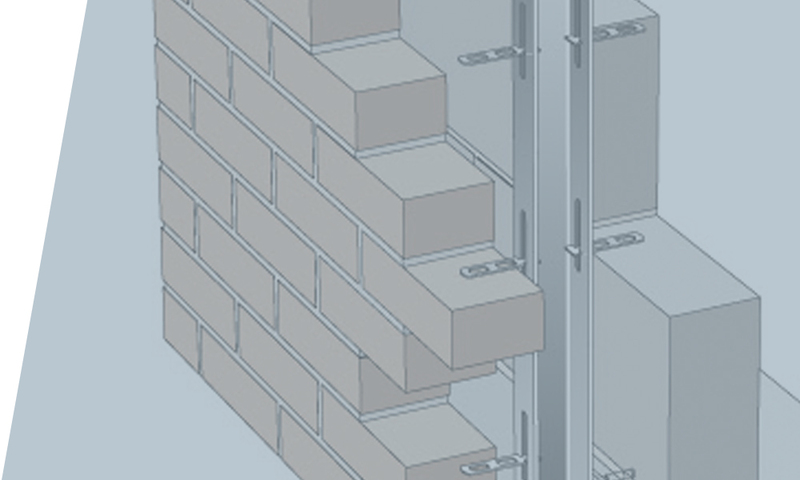 Blockwork is tied through the post, the design allowing for the inclusion of debonded movement ties if required. 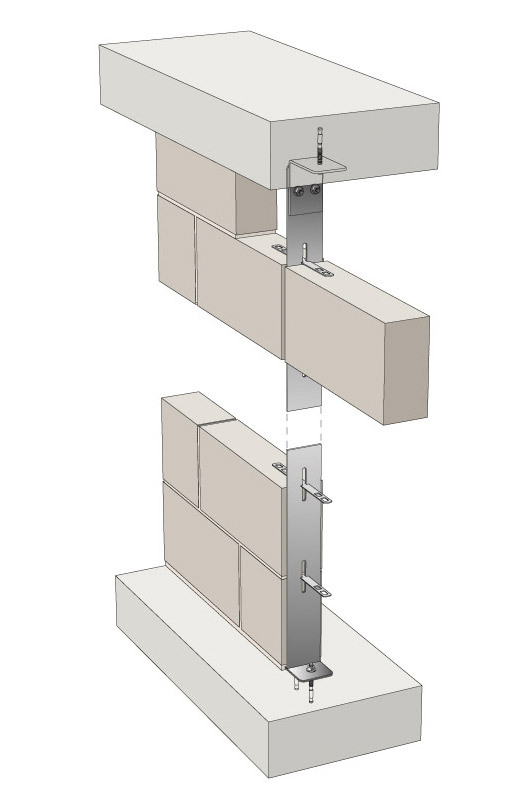 A channel section windpost which is designed to be installed within the cavity leaving the blockwork undisturbed. The windposts are complete with end connections and ties which fit into the vertical slots in the flanges of the channel section. Ancon WP2 Windposts are angle section windposts designed for either small cavities or where wind loads are high. 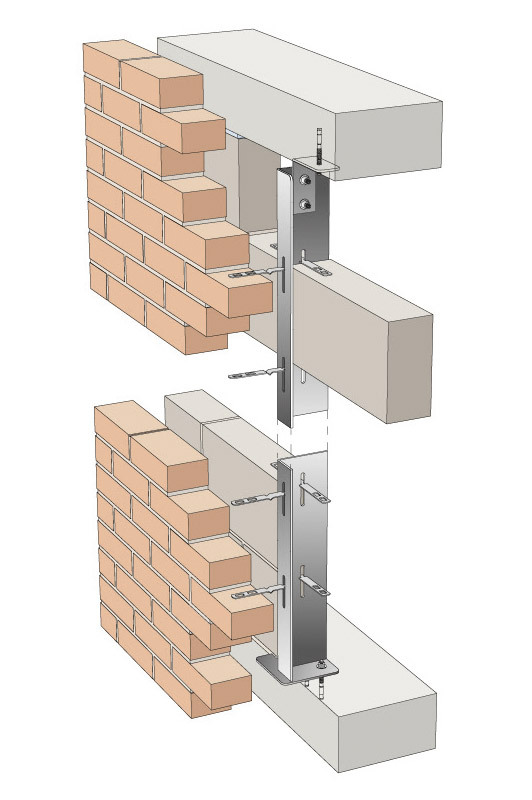 One leg of the angle windpost is built into the blockwork, and the blockwork tied through the leg of the windpost to minimise any possible movement or cracking of internal finishes. The design of Ancon WP2 wind posts assumes full restraint to the longer leg of the post located within the vertical masonry joint. Designed to minimise intrusion into the cavity. One leg of the post is built into the inner leaf blockwork and tied with wall ties to both leaves to minimise any possible movement of the structure. Fit within the wall cavity and normally span between floor structures. U windposts leave the inner leaf of the cavity wall undisturbed. 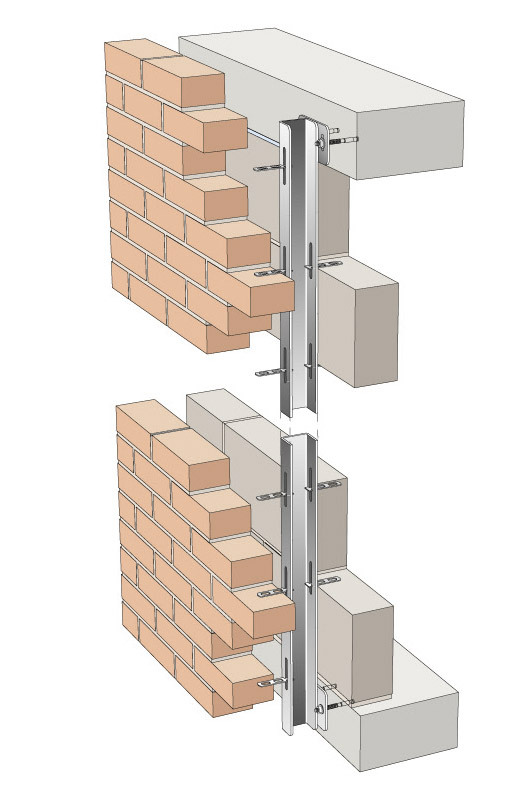 BAT Windposts are designed to offer an alternative, cost effective method of providing the additional stiffness that a masonry wall requires as specified by the Structural Engineer. Four types of Windposts types are manufactured in a range of section size and steel thicknesses to withstand applied wind loadings. 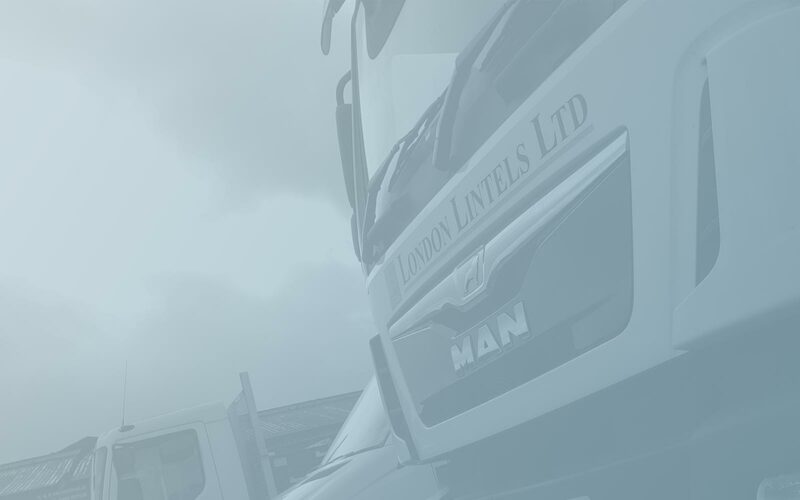 Base and tip fixing configurations can be specified to allow for varying methods of construction and loading requirements. U Section Windposts fit within the wall cavity and normally span between floor structures. H Section Windposts serve the same purpose whilst allowing for heavy duty applications. Both U and H Windposts leave the inner leaf of the cavity wall undisturbed. L Section Windposts are designed to minimise intrusion into the cavity. One leg of the post is built into the inner leaf blockwork and ties with wall ties to both leaves to minimise any possible movement of the structure. 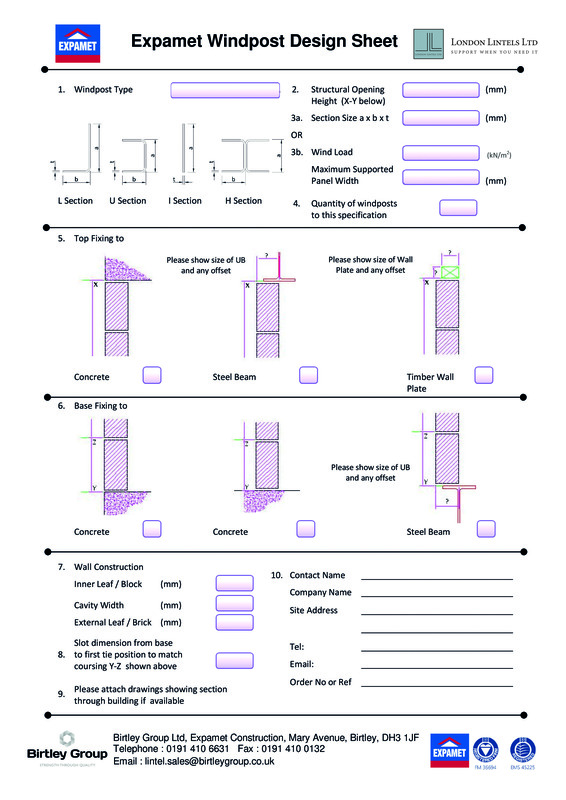 Spine Posts are generally used for internal fair-faced walls. The post is a flat plate that can be built between blockwork panels and does not protrude beyond either finished face. Posts are usually 20mm narrower than the wall width with any additional load requirements provided for by an increase in the thickness of the post. Blockwork is tied through the post, the design allowing for the inclusion of deboned movement ties if required. All BAT Windposts are supplied with the correct number of wall ties and fixings. 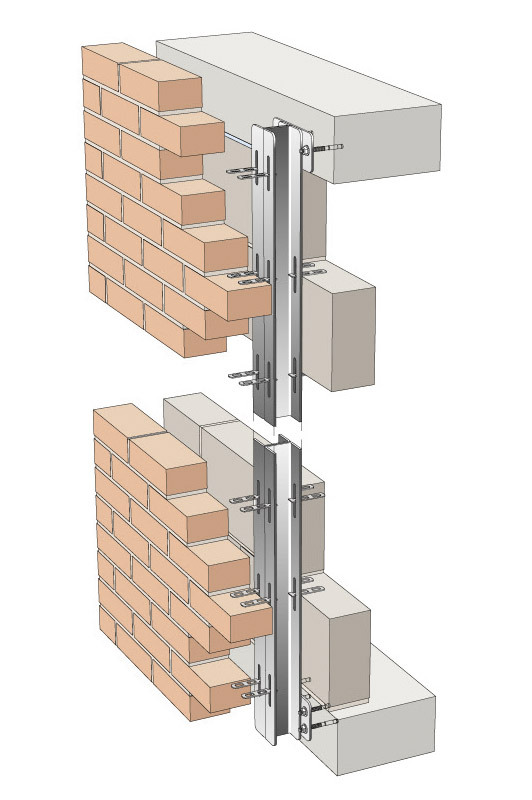 All wall ties comply with BS EN 845-1 Specification for ancillary components for masonry – Part 1.1.